If you live in a small apartment or condo, or if you live in a home with a majority of hardwood floors, you may like to take advantage of an awesome $99 carpet cleaning special offered by OxiGreen Carpet Cleaning in Levittown, PA.
OxiGreen is a locally owned “green” carpet cleaning company with years of experience cleaning all sorts of carpeting and area rugs. Our $99 carpet cleaning special includes two rooms and a hallway. 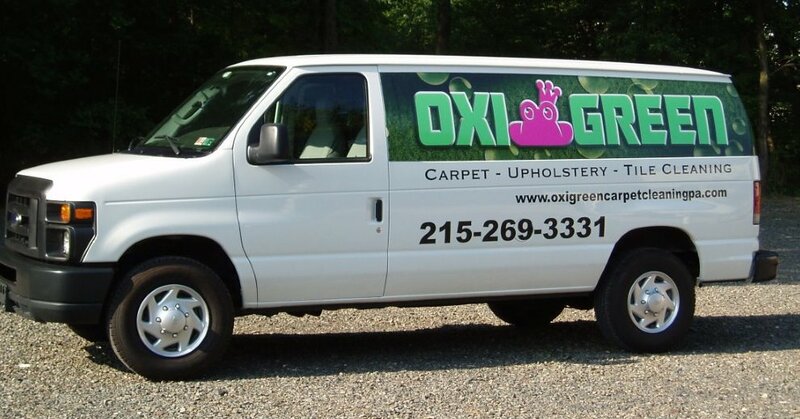 At OxiGreen in Levittown, PA, we use our top of the line, truck mounted, carpet cleaning machines along with eco-friendly cleaners to do an efficient and effective carpet cleaning job for you. OxiGreen’s powerful carpet cleaning equipment shoots hot water deep into your carpeting, disrupting and dislodging pollen, mold spores, bacteria, dirt and dust mites that settle there. While most vacuums and carpet cleaners used by homeowners never touch this deep down debris, OxiGreen’s powerful machines remove all the junk right along with 98% of the water! This process leaves behind a very clean, fresh, and extremely fast-drying carpet. OxiGreen’s “green” cleaners are also a key part of our process, which is why the “green” is even part of our company name! All the cleaners we use in the carpet cleaning process are 100% biodegradable. They are completely non-toxic and totally safe for the environment, inside your home and the environment at large. These cleaning agents are derived from the tea tree and actually safe enough to eat! Why not give OxiGreen in Levittown, PA a buzz today at 215-269-3331 and find out how to receive a free quote or schedule a carpet cleaning appointment today? Our helpful professionals at on hand to let you know more about our $99 carpet cleaning special, our other specials and our other services, including carpet stretching, expert carpet repairs and more. Check us out today at http://oxigreencarpetcleaningpa.com .